COLLABORATE 18 – Why YOU should attend! ONE event. NUMEROUS takeaways to help drive results for your business all year long! 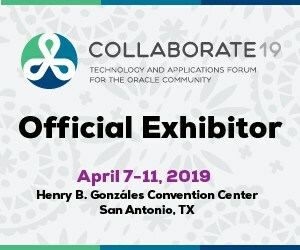 COLLABORATE 18 is the premier, user-led, technology and applications forum for the Oracle community. Produced by three independent user groups, IOUG, OAUG and Quest, COLLABORATE 18 is your event – created by users for users. Team Elire will be at Booth #730 as well as presenting a variety of sessions on Lease Administration, Oracle Cloud HCM and ERP, 9.2 Upgrades, and MORE! Read more about our COLLABORATE presence here! Ready to access a wealth of information to help you navigate your technology journey? COLLABORATE 18 takes place April 22-26, 2018, at Mandalay Bay Resort & Casino in Las Vegas, Nevada. 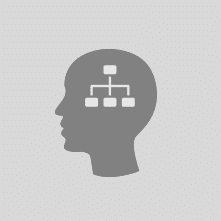 Select the user group most closely aligned with your interests at www.attendcollaborate.com. 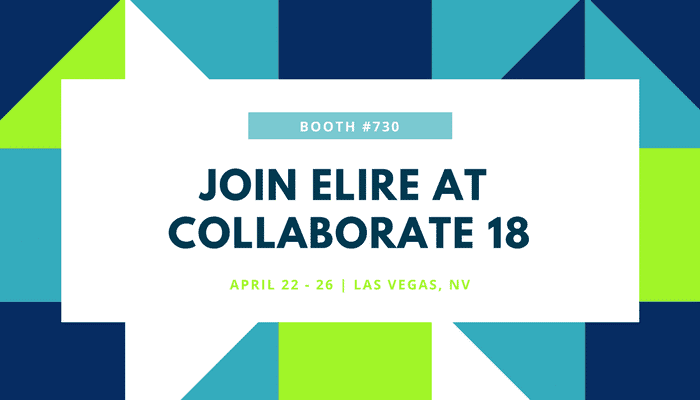 Join Elire in Las Vegas for COLLABORATE 18! Team Elire will be making the trip to beautiful Las Vegas, NV once again for COLLABORATE 18. For those who have not attended, COLLABORATE offers over 1,200 sessions from Oracle customers, development and product leads, and solution partners – including Team Elire! This year we are pleased to announce we will be presenting 11 presentations in both the PeopleSoft and Oracle Cloud product spaces. Elire Subject Matter Experts and Team Members will also be available in the exhibit hall at Booth 730 to answer your questions during all open exhibition hours and events. Session 108300 – Having Your Cake and Cash Forecasting Tool! Elire Sessions at #OOW17 – Join us in San Francisco! Team Elire is excited to annouce that we have FIVE presentations at Oracle OpenWorld 2017! Add our sessions below to your agenda and make sure to stop by Booth #4006 to network with our Experts! A major goal for Emory University’s PeopleSoft 9.2 upgrade was to optimize their investment in the system and take advantage of improved PeopleSoft functionality while heavily reducing the number of customizations needed for their system. Learn first-hand from Emory and Elire, on the upgrade techniques, methodology, approach, & other tools used to successfully reduce Emory’s customizations by 40% as part of their 9.2 Upgrade. Now live on 9.2, Emory is fully prepared to take on PeopleSoft Selective Adoption and PeopleSoft Update Manager using the tools and approach learned during their 9.2 upgrade. Whether your organization has upgraded to PeopleSoft 9.2 or not, you will learn valuable lessons from this highly successful 9.2 upgrade. Learn how global professional services firm, Marsh & McLennan Companies (MMC), with the help of treasury consulting partner, Elire, were able to successfully establish a solution to this common treasury pain point using their existing PeopleSoft Cash & Treasury Management system. In this case study, MMC and Elire will showcase the secrets behind the complex integration of multiple source systems, an Oracle R12 EBS AP/AR integration to PeopleSoft, used to centralize a single reconciliation point. The global roll¬out of Book¬-to-¬Bank reconciliation for US, Europe, Latin America, and Asia Pacific included integration between multiple systems, financial accounting Hubs (FAH), and external sources. Elire & Canon Information & Imaging Solutions will present the integration of Canon’s AP Automation Solution to PeopleSoft 9.2, leveraging the new Open Imaging Integration (OII). We will discuss how the seamless integration of technology and workflow behind the OVI certified solution creates a simple, transparent AP processes, leveraging Optical Character Recognition (OCR), Enterprise Imaging Platform & PeopleSoft Financials. We will showcase a case study to demonstrate the increase in productivity, speed, visibility and control delivered to our client who manually imaged & keyed over 60,000 invoices per year, transforming their fragmented, manual, paper intensive process. In this session, you will learn how organizations are preparing for their transition to the new FASB and IASB leasing guidance. You will also learn how you can utilize planned and delivered features within PeopleSoft Asset Management and Lease Administration to adapt to changes in business process resulting from the new accounting rules. Many PeopleSoft customers have chosen to move to the future and transition to Oracle Cloud. An important part of the transition is to develop a business intelligence reporting approach that works for your organization. In this session, Oracle Gold and Cloud Standard Partner, Elire, will present a case study to discuss a recent client simultaneous implementation of both Cloud HCM and Cloud ERP, who were previously running PeopleSoft. An Elire reporting expert will discuss how to prioritize your reporting needs, utilize industry best practices for your reporting development, and review the lessons learned during the implementation.